Restaurant Booths and entrances to Any Business. A Special Discount, a Gift for taking a survey, a New Product or Service, etc., entices customers to bookmark your business. and learn about your special promotion. 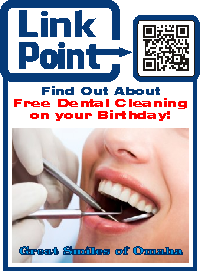 While this Customer waits for her appointment, she will bookmark your website Page, Email an appointment request for a free cleaning on her birthday and learn about future cosmetic surgery. LinkPoint SIGNS are screen printed with the highest quality solvent screen ink on .055" Polyethylene for maximum durability. They will not scratch or fade, even with repeated wipings. 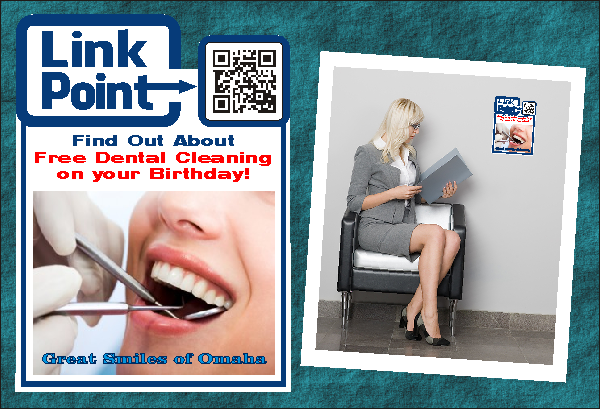 The custom QR, photo and business information is printed with the highest quality digital solvent printing on double glue matt vinyl and covered with 3M clear overlaminate. The sign is 9" x 12" die cut and has double stick tape on the back for easy application to a smooth surface. The double stick tape is low-tack so as not to damage walls - it is recommended that brads, screws or silicone glue be used for permanent installations. 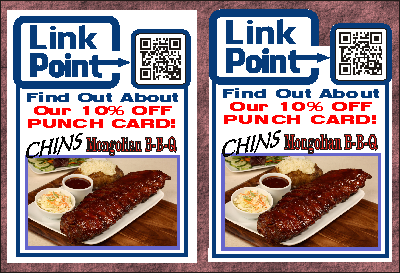 As with all QR's sold by Anytime Sign, the URL can be changed without the sign or decal becoming useless. Anytime Sign can re-direct the URL for a flat $10. 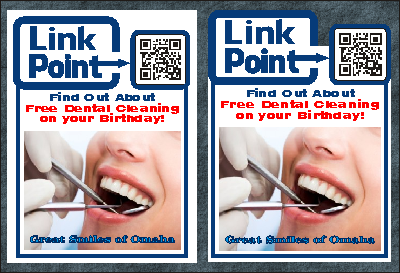 If You do not have a website page, Anytime Sign can make a page at www.LinkPoint.us. LinkPoint SIGNS are digitally printed with the highest quality solvent ink on double glue matt vinyl for maximum durability. They will not scratch or fade, even with repeated wipings. They are covered with 3M clear overlaminate. The decal is 9" x 12" and can be applied to any smooth surface including glass. As with all QR's sold by Anytime Sign, the URL can be changed without the sign or decal becoming useless. Anytime Sign can re-direct the URL for a flat $10. 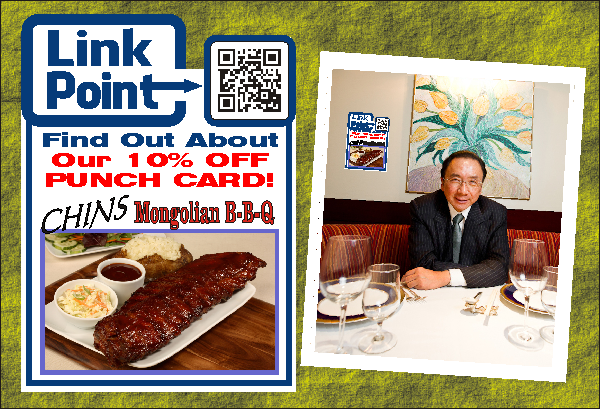 If You do not have a website page, Anytime Sign can make a page at www.LinkPoint.us. 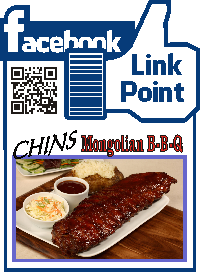 www.LinkPoint.us is a subsidiary of Anytime Sign, Inc.